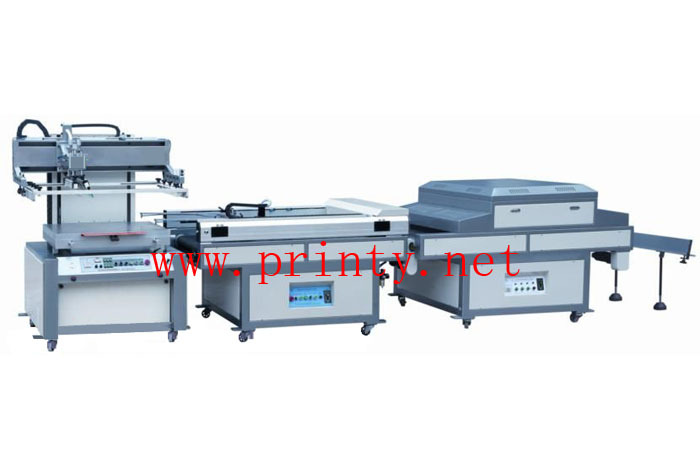 This screen printing production line consists of a semi automatic flatbed vacuum screen printing machine,an auto take off unit and UV curing machine, they work synchronously for screen printing flat materials such as paper, paper board, plastic sheets, circuit board, glass plate, metal nameplate and PVC boards etc. Brand-name pneumatic and electrical parts are used in the screen printing machine, auto take off unit and UV conveyor curing machine. Precise shafts and bearings are placed in active parts of the machine to ensure smooth and stable runs. Special size requirement can be custom-made!